Olukoya Ogungbeje, the Lead Counsel to the suspected kidnapper, Chukwudumeme Onwuamadike, a.k.a Evans, has withdrawn from his defence. Ogungbeje who said his withdrawal was based on “personal reasons”, made the development known in a press statement which was made available to Channels Television. The statement dated Wednesday, June 13 and signed by Ogungbeje himself, read in part: “For the avoidance of doubt, we wish to state categorically that we have fought a good fight this far despite repeated and sustained threats to my life and my defence lawyers. “I dare say we have no regrets whatsoever, having conducted the criminal charges involving our client this far. “For the sake of history, we have been able to enrich the basic principles of our criminal jurisprudence, especially the principle premised on “An accused person being presumed innocent until the contrary is proved” no matter the public opinion and criticism”. Ogungbeje also said that himself and his team have been able to keep the Lagos State Prosecution team on their toes in the art of forensic, proper and thorough investigation and prosecution of the accused persons. 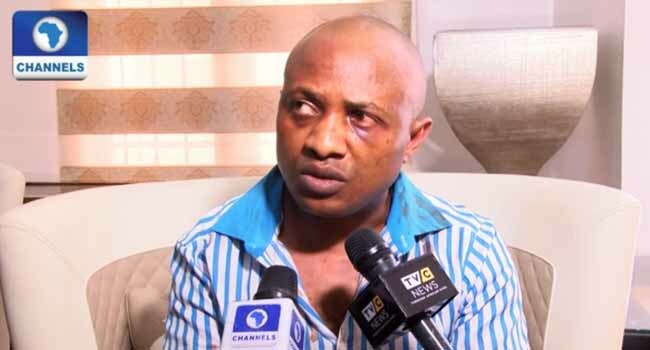 In the case before Justice Hakeem Oshodi which is expected to resume next Friday, June 22, Evans, Uche Amadi, Ogechi Uchechukwu, Okwuchukwu Nwachukwu, Chilaka Ifeanyi and Victor Aduba are facing a two-counts of conspiracy and kidnapping of one Mr Donatus Dunu who was the last victim allegedly kidnapped by the group before their arrest in June 2017.